The coming Beijing-Hong Kong Economic Symposium in October - News - AcuMedical, Inc.
Beijing Hong Kong Economic Cooperation Symposium (“the Symposium”) is held by Beijing Investment Promotion Bureau every year. After twenty years, the symposium has been a high effective platform to promote investment and cooperation between Beijing and Hong Kong, which has gained great achievements. The 21th Symposium will be held at Beijing in the coming October. Before that, the government has released 66 investment and cooperation projects in the first batch in August, which contained 9 projects of HQ Economy Industrial Park, 46 projects of High-tech industry, 11 projects of Overseas Investment. Acumedical Development Project is led by “Belt and Road Initiative” of the government and aims to promote Chinese acupuncture to the world. Acumedical Development Project integrates breakthrough innovative Western Medicine, TCM diagnosis, treatment devices and clinics together. This will provide unified, standard and quantified treatment process for patients, which covers diagnosis, treatment and outcome measures. This new approach will accord with international mainstream evidence-based medicine, greatly advance TCM acupuncture practice and achieve rapid coverage in international market. 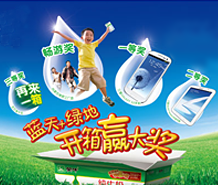 Beijing Jiashi Zhengtong Technologies Co., Ltd. was registered in Beijing, China. It has developed, manufactured and marketed Meridian Ebb-flow Therapeutic Device (MET Device). The MET Device is non-invasive and uses electrode pads instead of needles. It incorporates modern micro-electronics technology to stimulate acupoints and realize the curative effects of acupuncture. The unique feature of the MET Device is that it turned the complicated method “Meridian” from Huangdi Neijing into a computer program. The combination of new computing technologies and ancient acupuncture therapies can achieve more curative effects. Multiple clinical researches have shown that for certain diseases, MET Device can achieve optimal efficiency compared to traditional acupuncture. Currently, the device has been listed on (1) State Administration of Traditional Chinese Medicine (SATCM) (First batch in 2011) Recommended Products; (2) SATCM TCM Hospitals Standardized Facility (Basic Facility); (3) Beijing Military Area Command Drug Purchase Directory. There are also more than one hundred medical institutions using MET Device in China. As a non-invasive product, it is more acceptable and easy to use. AcuMedical, Inc. is located in St Paul, Minnesota. The company has developed an acupoint biodata collection device. It can quantitatively detect the physiological and pathological changes of the meridian system. It can be used to explore and analyze any relevant theory of the meridian system that has been inherited and widely adopted over two thousand years. It provides a scientific assessment for TCM practioners. The company is committed to integrate modern technology with TCM to provide an effectiveness monitoring approach for popular TCM therapies. The biodata collected for each patient can be archived as part of the Electronic Medical Records for the first time. It will create a new scientific foundation to evaluate TCM diagnosis and therapy efficiency. Using big data, cloud, and AI technologies are possible now once the data have been accumulated. It helps the modernization of the ancient acupuncture. It will transform TCM practices from experience-based medicine to evidence-based medicine. Acumedical Development Project is to equip the aforementioned high-tech products from the company with 100 acupuncture clinics acquired in U.S. as standard equipment. The goal is to set up a uniform, standard, quantified process. It will cover diagnosis, treatment, result analysis and report. The model will be promoted globally through franchising later on.